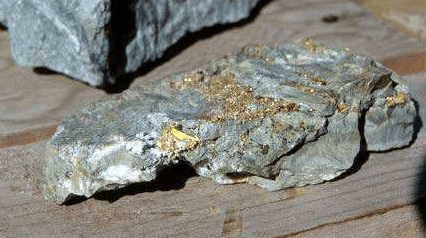 What is Rock gold process? Rock gold is also called mineral gold which is produced in mines. Gold deposits, mostly deposited by hot springs gushing out of the ground through cracks in the rocks, are often sandwiched with quartz in cracks in the rocks. Most of the gold deposits are associated with other metals, including silver, platinum, zinc and other metals besides gold, which was called composite gold before other metals were put forward. Ore gold occurs in different mines and contains different components of other metals, so the fineness varies from 50% to 90%. According to the structural state and gold content of gold in minerals, the minerals of gold deposits can be divided into three categories: gold ore, gold-bearing minerals and gold-carrying minerals. The so-called independent mineral of gold refers to the gold produced in the form of gold minerals and gold-bearing minerals. It is the most important form of occurrence of gold in nature and the main object of industrial development and utilization. So far, 98 kinds of gold minerals and gold-bearing minerals have been found in the world, but only 47 kinds are common, while only 10 kinds of minerals are directly used by industry. How to find the rock gold ore deposit? The easiest way to find rock gold on land or underground is by rock gold detector, this machine is operated by manual, it is very popular to use by small rock gold miners, they will try to find the rock gold or other metals underground, then try to dig up the rock gold ore, then separate out rock gold by small sluice box and washing machine. For large scale rock gold mining plant, big rock gold detection machine to find the exact rock gold mine position, and blast the rock gold stone out. Then send it to the next rock gold processing plant. The rock gold ore is very rich in Africa, South America, such as Mali, Sudan, Tanzania, Mozambique, Suriname, Ghana, Congo, Zimbabwe, Zambia, Ethiopia, Peru, Chile, Bolivia, Australia, America, etc. The rock gold process plants are different in different conditions. At present, the mainstream placer gold and rock gold processing technology, generally through crusher crushing, ball mill crushing, through gravity separation, flotation, extraction of concentrate and tailings, or through chemical methods, and finally through smelting, its products eventually become finished gold. Gravity separation and flotation are commonly used in the processing of rock gold deposits. 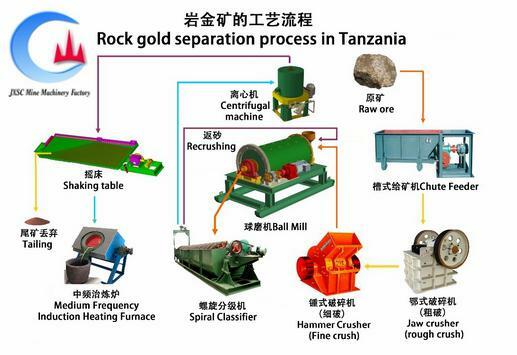 Most of the rock gold deposits in China adopt the below methods to extract rock gold. 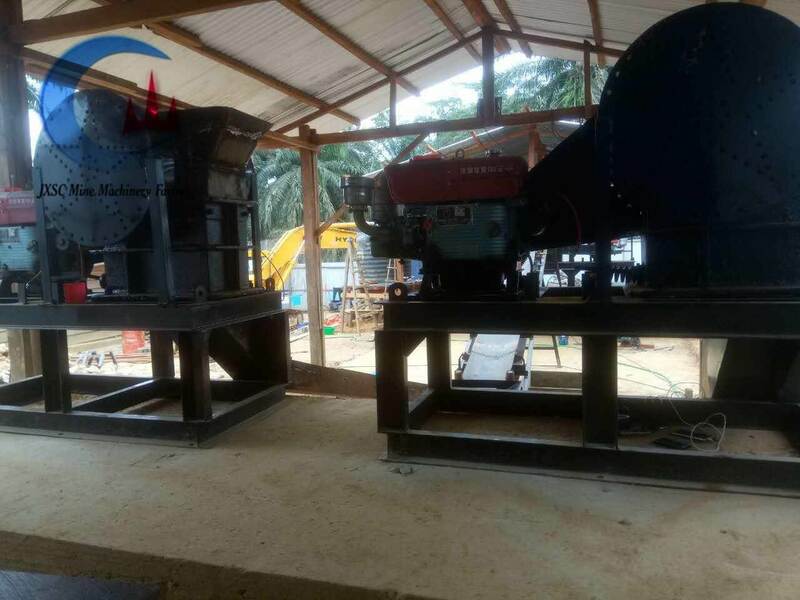 Great improvements have been made in mineral processing technology and equipment. Gravity beneficiation is a method of separating ores according to the difference of mineral density, which occupies an important position in contemporary beneficiation methods. Gravity beneficiation mainly aims at gold oxide. Monomer gold exists in stone. After crushing and milling, gold is enriched. The main equipment used is spiral chute, gold shaker, gold jig and short cone cyclone. Gravity separation equipment has a low cost and a high recovery rate. Many beneficiation plants like use gravity separator to do gold ore dressing. Flotation is one of the widely used methods to treat vein gold ores in the rock gold process concentrator. In most cases, the flotation method is more effective in treating gold-bearing sulfide ores with high floatability. Because not only can gold be enriched to a greater extent into sulfide concentrates by flotation, but also tailings can be discarded and the beneficiation cost is low. Flotation processes are also used to treat polymetallic gold-bearing ores, such as gold-copper, gold-lead, gold-copper-lead-zinc-sulfur ores. Of course, the flotation method also has limitations, for coarse-grained disseminated ore with a gold particle size greater than 0.2 mm, it is difficult to use the flotation method for non-sulfide quartz gold-bearing ores. Flotation machines often use floatation machines, agitator barrels, sand pumps, medicaments and so on. Currently, there are mainly mercury extraction and cyanidation process. Mercury amalgamation is an ancient gold extraction process, which is simple, economical and suitable for the recovery of coarse-grained monomer gold. However, it has great pollution to the environment and is gradually replaced by gravity separation, flotation and cyanidation. 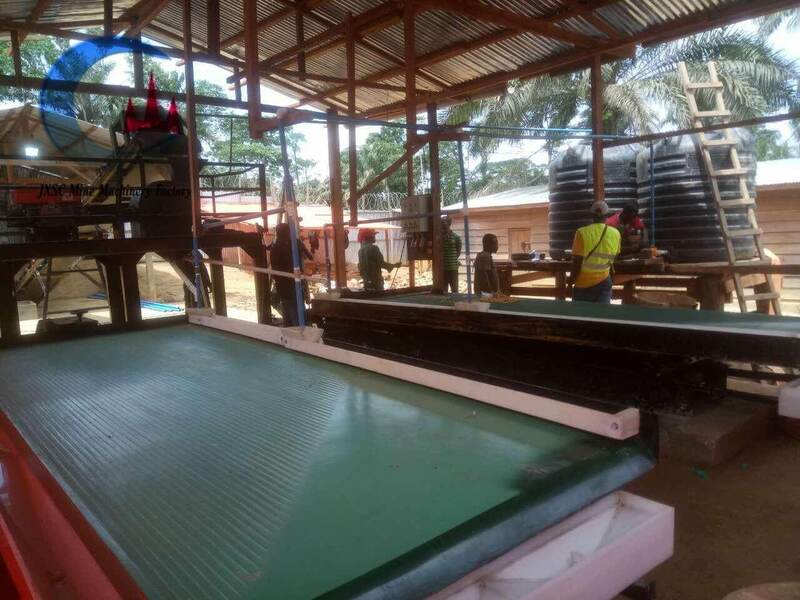 The cyanide process for gold extraction includes several basic processes, such as cyanide leaching, washing and filtering of leaching pulp, extraction of gold from cyanide liquor or cyanide pulp and smelting of finished products. Low-grade oxidized ores account for a certain proportion in gold resources. 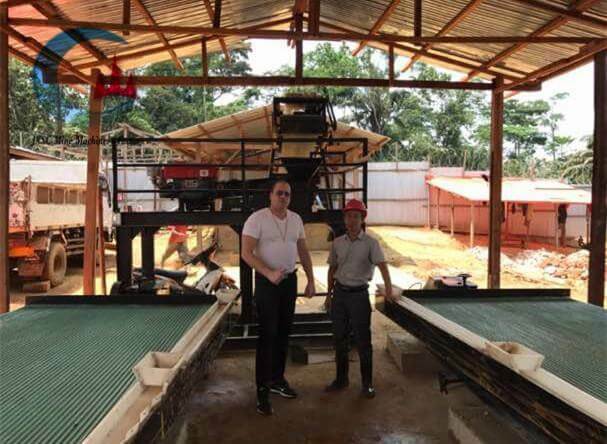 It is not economical to treat such ores by the conventional cyanidation process for gold extraction, but it is economical to use the heap leaching process. The heap leaching method is actually to heap gold ore on an impermeable site and leach it with a cyanide solution. After dissolving the gold and silver in the ore, it flows into the storage tank along the pre-designed grooves on the site. These gold and silver-bearing liquids are adsorbed by carbon with activated carbon and then desorbed to recover gold and silver. JXSC mine machinery Company in China has more than 30 years professional experience at the rock gold process, design full set rock gold ore process flowchart, provides complete set rock gold ore separation machines, can send an engineer to mine site for equipment installation and commissioning guidance. 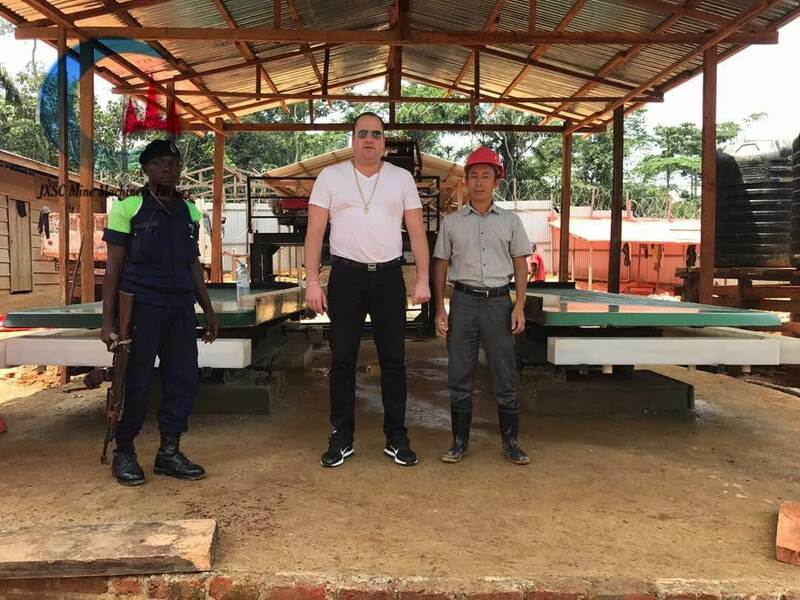 Have already built many rock gold ore processing plants in Africa countries. Include Mali, Sudan, Mozambique, Suriname, Ghana, Congo, Zimbabwe, Zambia, Tanzania, Ethiopia, Peru, Chile, Bolivia, Australia,etc. The rock gold processing machines JXSC can provide are : rock gold jaw crusher, rock gold hammer crusher, rock gold cone crusher, rock gold roller crusher, rock gold ball mill, rock gold shaking table, rock gold jig separator, rock gold flotation machine, rock gold mixing tank, rock gold slurry pump, rock gold centrifugal concentrator, rock gold spiral classifier,etc.